Elsewhere is where 15-year-old Liz Hall ends up, after she has died. It is a place so like Earth, yet completely different. Here Liz will age backward from the day of her death until she becomes a baby again and returns to Earth. But Liz wants to turn 16, not 14 again. She wants to get her driver's license. She wants to graduate from high school and go to college. And now that she's dead, Liz is being forced to live a life she doesn't want. Old Ms. McMartin is definitely dead. Now her crumbling Victorian mansion lies vacant. When 11-year-old Olive and her dippy mathematician parents move in, she knows there’s something odd about the place—not least the walls covered in strange antique paintings. But when Olive finds a pair of old spectacles in a dusty drawer, she discovers the most peculiar thing yet: She can travel inside these paintings to a world that’s strangely quiet...and eerily like her own. 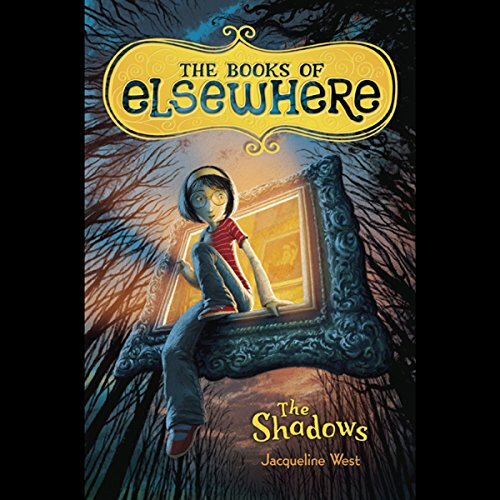 Yet Elsewhere harbors dark secrets—and Morton, an undersized boy with an outsize temper. As she and Morton form an uneasy alliance, Olive finds herself ensnared in a plan darker and more dangerous than she could have imagined, confronting a power that wants to be rid of her by any means necessary. It’s up to Olive to save the house from the dark shadows, before the lights go out for good. Jacqueline West weaves a tale at turns haunting, moving, and darkly. I have a 10 year old step-son who is NOT into reading! Going into 6th grade, this is obviously making us all crazier than usual. His Mom has tried some audio books for him rented from the library but it didn't take. 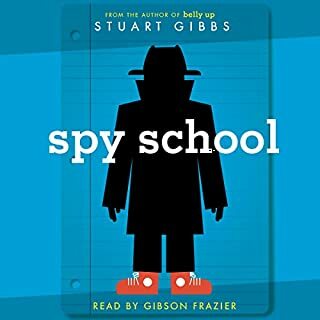 The kids hear me listening to my audio books all the time and sometimes they chime in so I thought this one could be for us. We mostly listened to it in the car, but it took a while as we live in a small town and don't drive too far between places, but we loved getting in the car!!! His Dad and I were worried as the main character is a girl, but it didn't bother him. The story is great, entertaining and well put together. The characters are consistent and the narration, in my opinion, works perfect for Olive and all the characters. 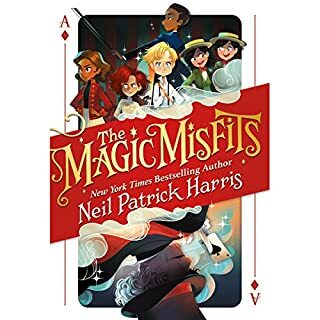 I highly recommend this for all ages (the 13 year old liked doing errands with us all of a sudden... Not because he liked the book or anything, lol) I thoroughly enjoyed this first installment and am looking forward to starting book 2 next week!!!! My students are reviewing Bluebonnet nominees for this year, so I decided to read this book with them. 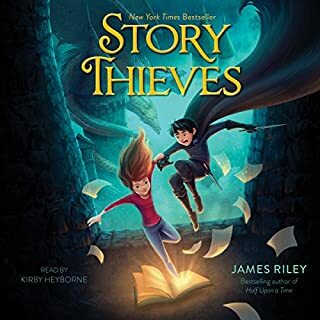 I was worried that my boys would not be as interested in the story due to its female main character, however all of my students truly enjoyed all of the characters, plot, and narration. They have asked me to continue reading the series! Normally not a fan of children books, but I was looking for something different. 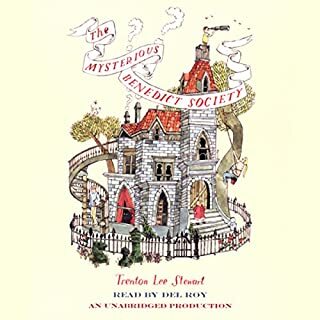 The sample blew me away with the excellent range of voices displayed by the narrator, Lexy Fridell. this is probably my favorite series of all time. I've read this particular book 7 or 8 times. and the whole series probably 5 times. 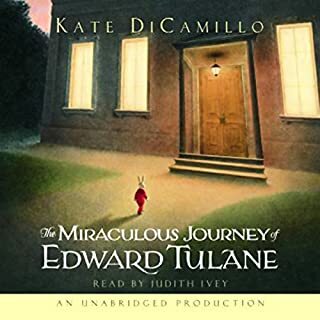 I loved reliving my favorite story in audiobook form. it was great. the narrator did a really good job with the voices. although I did always picture Olive with a deeper voice. oh well. still amazing. I highly recommend it. Would you listen to The Shadows again? Why? Each chapter left the listener wondering what would happen next. This book had just the right amount of suspense and mystery for my 5th grader. I did not have to provide encouragement to read from this text each night, but instead had to say that it was time to stop for the evening. My child is eager to read book 2 of the series. This story has such wonder. The author does an amazing job in her descriptions and relating one thing to another. Her characters and her story has captured our hearts! We have to jump right into the next story immediately after finishing this one! I love this series and the series is very well narrated with a fitting and relatable voice, just like how it is written. Recommended for anyone!! 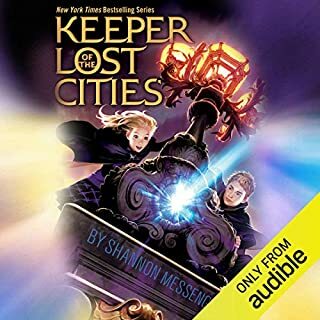 Loved listening to Lexy Fridell narriate this book series. Perfect fit. Also, loved reading the Shadow book series. A great escape from the real world. This story moves right along with never a dull moment. From opening to ending children, of all ages will be afraid of the dark, and brave and triumph against evil. Some bits may be a bit too scary for younger bedtimes. But all in all, a ripping good story that does not dumb or talk down, with all the traditional bits- plus cats. The narration fits perfectly with the character.